Traditional detox for opioid addiction involves a 3 to 7 day overnight stay in a facility that provides some level of medical supervision, daily structured programming, and medication assistance to help alleviate opioid withdrawal symptoms. Detox alone, for moderate to severely opioid addicted persons, has a relatively low success rate. However, detox followed by several weeks of inpatient treatment & follow-up outpatient counseling, produces a higher rate of success. Particularly so for people with shorter term addictions and a more limited opioid abuse history. Rapid detox is a condensed detoxification process which occurs while under general anesthesia. The opioid addicted person is unconscious while an opioid antagonist is introduced (such as naltrexone) to begin an accelerated withdrawal process. Rapid detox presents with the general risks of going under anesthesia. However, its proponents claim that it helps individuals avoid the pain and emotional distress associated with physical withdrawal from opioids. Methadone is one of the most effective opioid addiction treatments available, and has a proven track record of success based on many years of research & supporting statistical data. 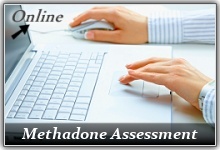 Methadone is a powerful opioid replacement medication that successfully prevents opioid withdrawal. It works well for a wide variety of opioid dependent persons including those with short-term pain pill addictions, as well as those with chronic & severe intravenous (IV) opioid abuse. Suboxone, like methadone, is an opioid replacement medication with a long lasting effect that produces relief from opioid withdrawal symptoms. Suboxone is actually a name brand medication containing buprenorphine (the active ingredient that prevents withdrawal) and naloxone (a secondary ingredient added to prevent injection abuse of suboxone). Suboxone became FDA approved in 2002, and is used today for both opioid detox as well as maintenance therapy. Suboxone is administered as a tablet (or thin film) that is dissolved under the tongue and absorbed through the oral mucosal lining.